Twitter Inc’s announced that is controversial chief for its operations in China departed the company after just eight months. This is the latest executive that has left the micro-blogging company amidst its reorganization across the globe. A number of Twitter executives have left the business since October when it announced layoffs amidst continued red numbers. Profitability has been a constant challenge for the social network and its growth in revenue has now slowed. 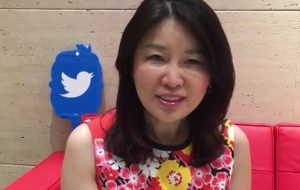 In a group of tweets December 31, Kathy Chen the Managing Director in China for Twitter announced she was departing the company but said that Twitter would keep its office in Hong Kong open. Now that the APAC Twitter team, which is Asia Pacific, is working directly with advertisers in China, it makes for the right time to leave the company, wrote Ms. Chen in her tweet. Chen’s critics on social media said the tweets she wrote appeared to have a willingness to work with the state-controlled media in China. The critics added that it did not appear that Chen had renewed efforts to bring the social network back into the country. Chen wrote Twitter remained committed to the market in China and the company’s focus in China remained serving its advertisers in China that wanted to reach markets outside the country. Twitter’s base of advertisers in China, Taiwan and Hong Kong has increased by 400% over the last two years wrote Chen. Chen’s departure was confirmed on Monday by a spokesperson from Twitter. In October, Twitter said it would cut 9% of its entire workforce or roughly 350 people largely across its sales, marketing and partnership organizations. It added at the time more focus would be placed on profitability following a $100 million quarterly loss. A number of other executives at Twitter in Asia left recently including its head of India, Middle East, Southeast Asia and North Africa Parminder Singh. Chen, a former executive with Cisco and Microsoft, had worried some when hired, due to working for entities that were related to the China government. During the early part of her career, she was a research institute engineer for entities that held a relationship with the government of China.